At The Law Offices of Michael Berg our San Diego criminal defense attorney understands the seriousness of criminal charges. If you are facing a misdemeanor, felony or federal charge we will fight for your rights. "It is with great pleasure I endorse my colleague and friend, Michael Berg, in the field of both state and federal criminal defense. Michael is one of the most well respected attorneys I have ever had the privilege of knowing. He knows everyone who is anyone in the San Diego criminal defense community. He is a valuable resource to all criminal defense attorneys in the community, but is most valuable to his clients who he obtains spectacular results for day in and day out." 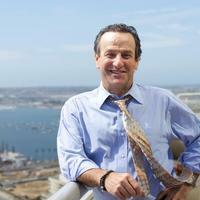 "Mr. Berg is known to be one of the finest criminal defense attorneys in San Diego. He has earned a tremendous amount of respect in both state and federal courts throughout Southern California. I have personally referred clients to Mr. Berg when a potential for a conflict presents itself in my own cases, fully confident that the client will receive the finest representation possible." "Michael is so highly regarded, that he simply doesn't need another endorsement, but I feel compelled to write one. Mike is always a pleasure to work with because he is so knowledgable and willing to offer ideas and advice on your own cases." "I have had the honor to work with Mr. Berg on a complex wire fraud case in federal court. He has an exceptional reputation and he is held in high regard by the bench, defense attorneys, and prosecutors. He is known to consistently deliver outstanding results for his clients ranging from high-profile trials to negotiated plea bargains. Mr. Berg is extremely knowledgeable of the law and his overall practice of law is truly impressive. I would recommend Mr. Berg to anyone who is facing criminal prosecution." "I have had the privilege to know and observe Mr. Berg in court for at least twenty years. He is a great defense attorney who has repeatedly demonstrated time and time again his command of tactics and strategy to bring great results for his clients." "The best of the best. Period. I recently had the pleasure of hiring Michael Berg to handle a rather difficult case. Professional, prompt and thorough he is the best I have ever encountered." Wow. When I first met you I was 20 years old and scared to death. A drug addict behind bars and pregnant isn't where I thought I'd ever end up. That was 8 years ago. You're an amazing person and an awesome attorney and I'm lucky to have had you defending me. What you were able to do for me was give me another chance at life. You helped me to work with the system. Looking back, I couldn't have done any of it without you. I always recommend you to all my friends. You are, by far, one of the best attorneys out there, and a great person too! Today's result was outstanding! Thank you for your fine work! I will certainly recommend you should the need arise. "I hired attorney Michael Berg for my attempted murder case, and let me tell you I don't regret a thing! Not only is he fantastic at what he does, he's honestly one of the humblest men I have ever met. His smile and energy is very contagious. I don't know where I'd be if I didn't find him. He helped me get my case dismissed! I suppose you could call him a miracle worker. He basically saved my life. I'm very young and this was my first time getting into trouble with the law. He helped me throughout the whole process and always had an answer to my questions. If you're in need of a criminal defense lawyer I assure you, he's the one. I guarantee you will not be disappointed in hiring him." "Michael Berg handled my case with competency, responsibility, honesty, and diligence. He made promises that he kept, and helped me get through my case from start to finish (over multiple months with follow-up over a year later). I can not provide any better recommendation than Mr. Berg if you need an attorney in San Diego." The law offices of Michael S. Berg are based in San Diego, California and clients throughout San Diego County, including the communities of Chula Vista, El Cajon, Vista, Oceanside, Escondido, San Marcos, Poway, Santee, Lakeside, Spring Valley, Lemon Grove, National City, Imperial Beach, Carlsbad, Encinitas, Coronado, La Mesa, Bonita, Eastlake, Pacific Beach, Ocean Beach, UTC, University City, La Jolla, Solana Beach, Rancho Bernardo, Rancho Peñasquitos, Miramar, Del Mar and Carmel Valley.